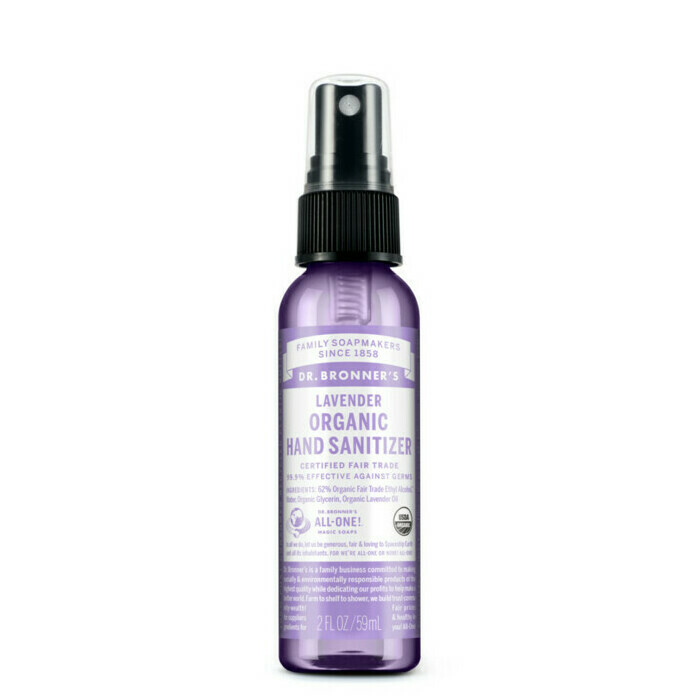 For clean hands on the move, this Hand Sanitising Spray by Dr Bronner's kills germs with a simple but unique combination of Organic Ethyl Alcohol, Water and Organic Lavender. It also has a delightful subtle lavender aroma. 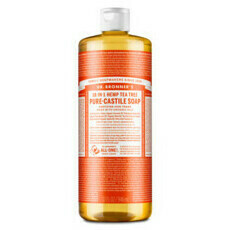 Ideal for anytime where there is no access to soap and water, this is suitable for all skin types including children's hands and faces. 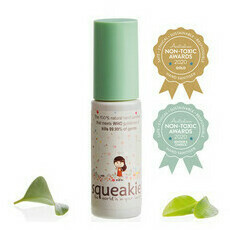 It is also perfect handbag size and contains over 500 sprays. This wonderful all in one product can also be used as an air freshener. 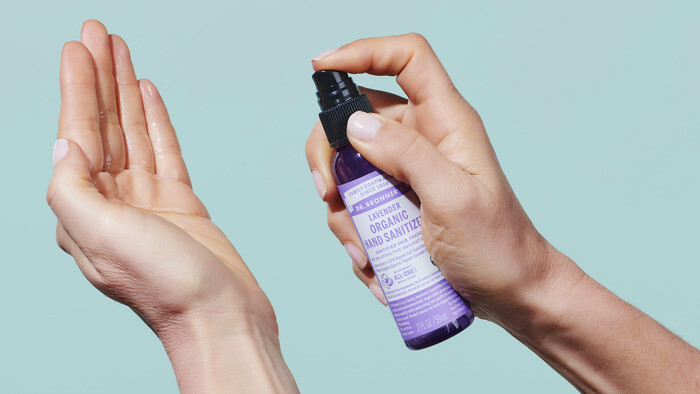 This product is fair trade, vegan and free from GMO ingredients. 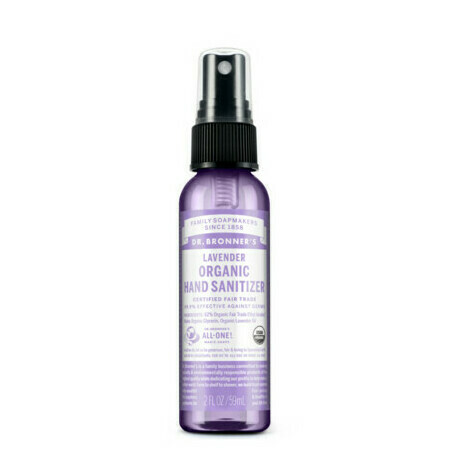 Spray into hands as needed, can also be sprayed onto cloth to clean messy faces. I love this hand sanitizer so much! 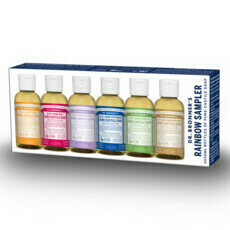 It smells divine, is easy to use and lasts ages. I took it on a three week holiday overseas, used it multiple times every day on my hands and to refresh my clothes (#backpackinglife) and still came home with plenty to spare. The best!! I can’t fault this stuff it’s almost too good to be true.